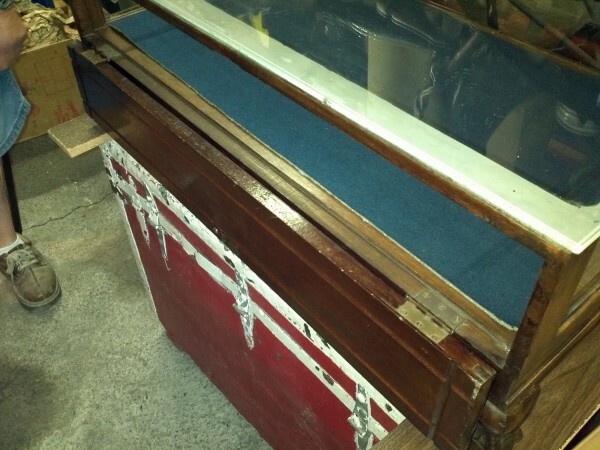 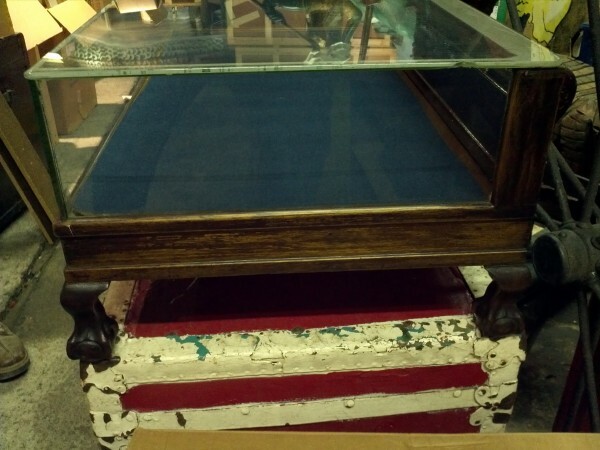 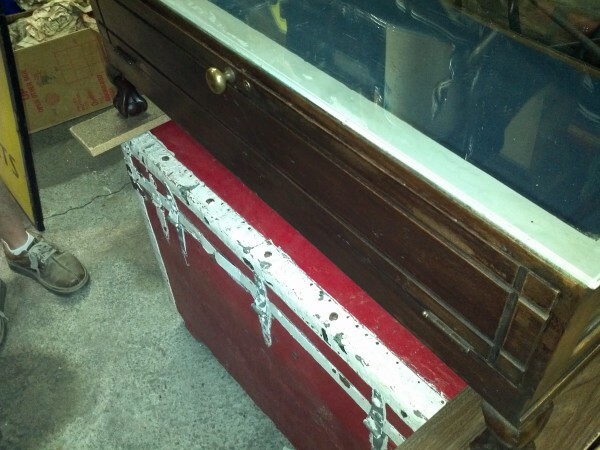 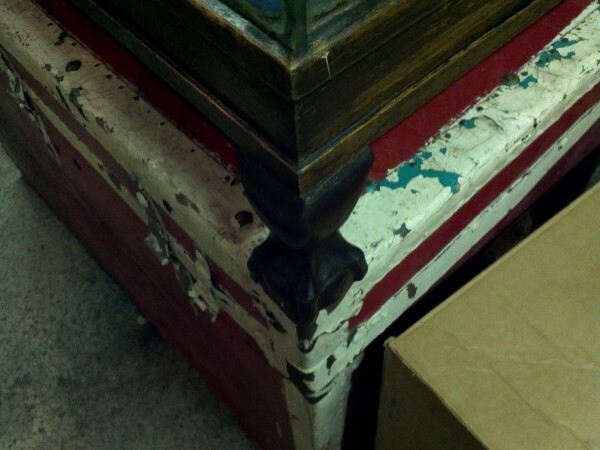 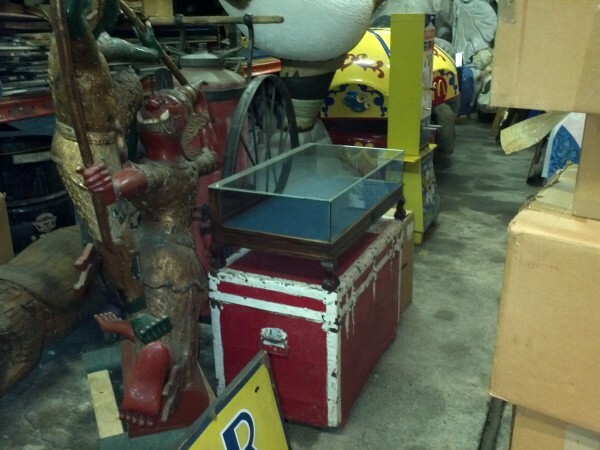 Antique jewelry store display case measuring 36″ x 20″. 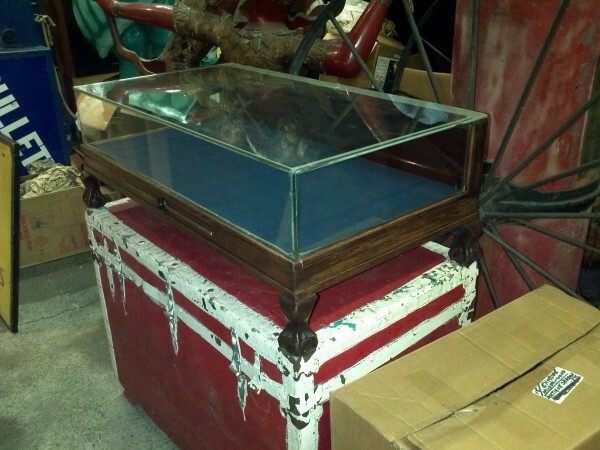 with glass top and sides. 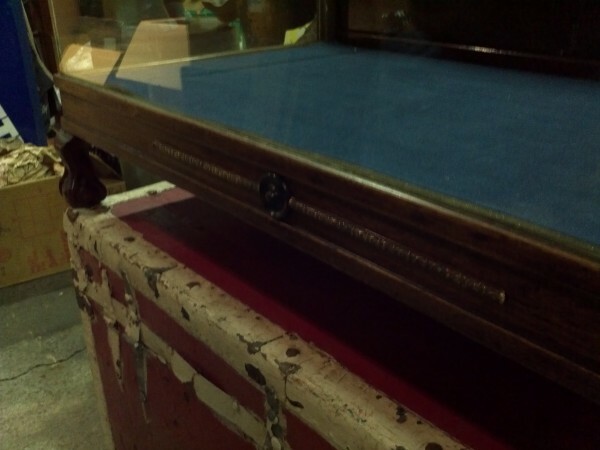 Small chip on one side of case. 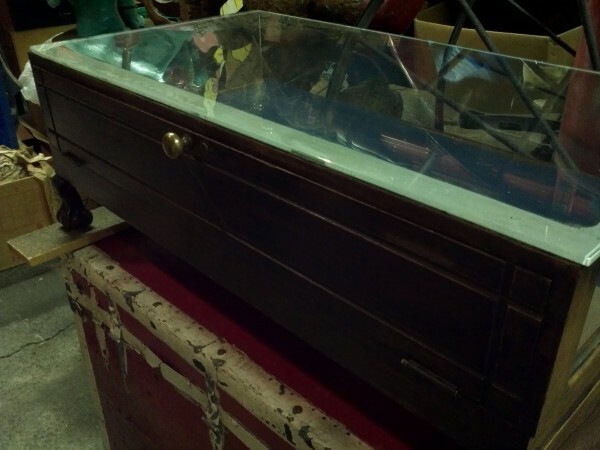 Unusual size for just the right item…….